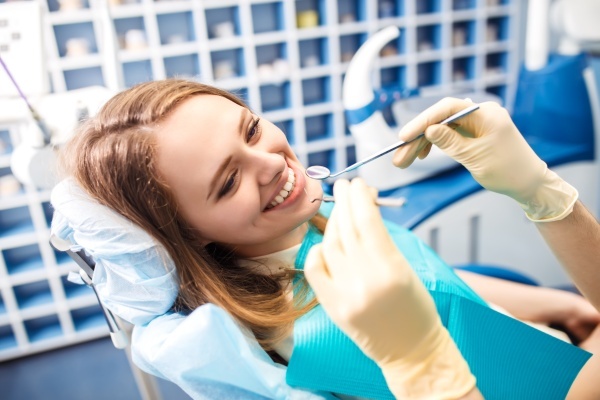 Due to continuing advancements in modern dentistry, dental implants are another option to traditional full or partial bridges and dentures filling mouth gaps. As a natural tooth has a root, pulp or dentin and crown, a dental implant features three components that starts with the insertion of a titanium screw into the gum and jawbone to act as new tooth "roots." When the jawbone and gum heal and the acceptance of the titanium root, an abutment or connector sets in place atop the titanium screw. The last component, the new tooth crown, the goes into place. The result is a permanent new tooth as stable as a natural tooth for chewing all types of foods without worry. Consider the following four benefits that make full mouth dental implants a worthy alternative to the traditional bridges or full dentures to fill the gap from loss of teeth. Gums support people's natural teeth, which receive support by the bone found under the gum called the jawbone. When tooth loss occurs, the bone loses strength, this brings about facial structure changes as the jawbone height shrinks, which results in corners of mouth and cheeks to sink and sag. A full mouth dental implant as permanent as natural teeth roots stimulates the bone within the jaw and provides stability to the artificial tooth crown. Full mouth dental implants prevent the remaining natural teeth from shifting and causing misalignment problems with one's bite as well as saves the wear and tear on adjacent teeth need trimming for a bridge or denture that does not have a root to attach to these natural teeth. When natural teeth pull double-duty in supporting bite pressure of the artificial denture and bridge, the result is a weakening of the natural teeth. The strength of the titanium dental implant is in the bone and gum that grow around this implant material. Implants do not need the periodic replacing that usually comes with dentures or bridges. With proper oral hygiene as one would do with natural teeth, a full mouth dental implant can last up to 30 years. This is a benefit everyone seeks. While the cost might bring hesitation at first, patients need to remember that cost is a one-time charge that results in several years of comfort and use. Call today for a better smile tomorrow. Arrange for an in-depth consultation and examination of your teeth with our dental office to find out if a full mouth dental implant is the right dental procedure for your mouth.